The Monarch has form when it comes to hosting geeky pub quizzes. 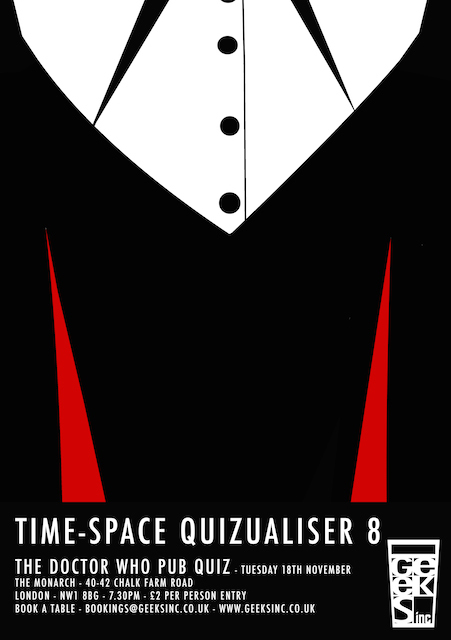 After a Monty Python themed quiz and one dedicated to BBC's Sherlock, now it's time for Doctor Who. The quiz takes place on Tuesday 18 November at the Chalk Farm pub from 7.30pm, organised by Geeks Inc. Tickets are only £2 each and can be easily booked online. They always sell out fast, so get in early. To book your place, go on Geeks Inc website and browse for your favoured quiz.